Nearly 95% of graduates (bachelor’s, master’s and PhD) from WPI’s class of 2018 were successful in securing employment, admission to graduate or professional school, military service or volunteer work (Peace Corps, City Year, etc.) 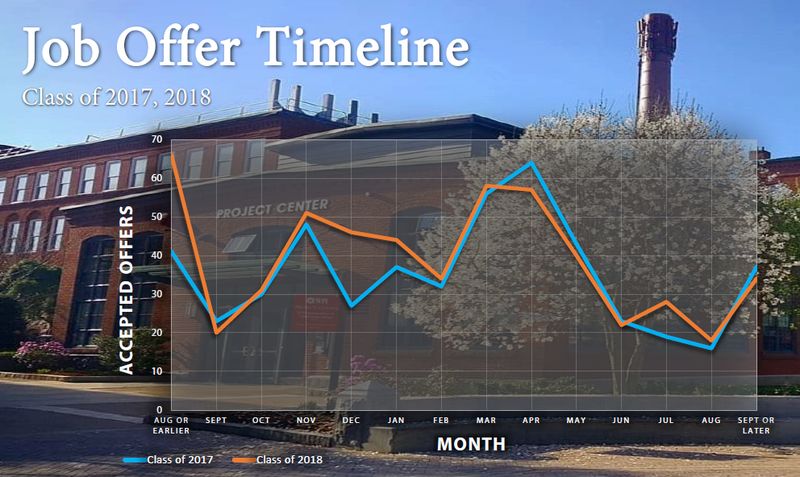 six months after graduation – a remarkable success rate based on data from almost 90% of the class. Are you an employer interested in learning more about WPI students? From career fairs to on-campus interviews to information sessions, there are many ways employers can recruit and connect with WPI students and alumni for full-time jobs, summer internships, co-op positions, and more.